November marks four years since the start of an undeniable friendship. Two women brought together through a lung transplant have formed a unique bond in an untraditional way. Carrie Giddens, 31, and Valarie Fratiani, 45, consider each other sisters and live just 10 minutes away from one another in Frisco and Allen, Texas. They once took a drive in the neighborhood together, and they came across a meaningful intersection of Bryan and Amy Street. It was another sign — another testament of why they were meant to find each other. Amy Firth suddenly passed away at age 38, just four days after Thanksgiving. When Valarie got the call that her sister Amy was in the hospital with blood clots in the brain, she was not prepared for the sudden changes that would unravel. Amy had simply felt a headache that would not go away and sought care at Scott & White Medical Center – Temple near her home in Belton, Texas. Amy Firth suddenly passed away at age 38, just four days after Thanksgiving. Bryan Chandler was born with cystic fibrosis, as was his older sister Carrie. The two struggled due to many health complications, and Bryan passed away at the age of 21 as he waited for a lung transplant. 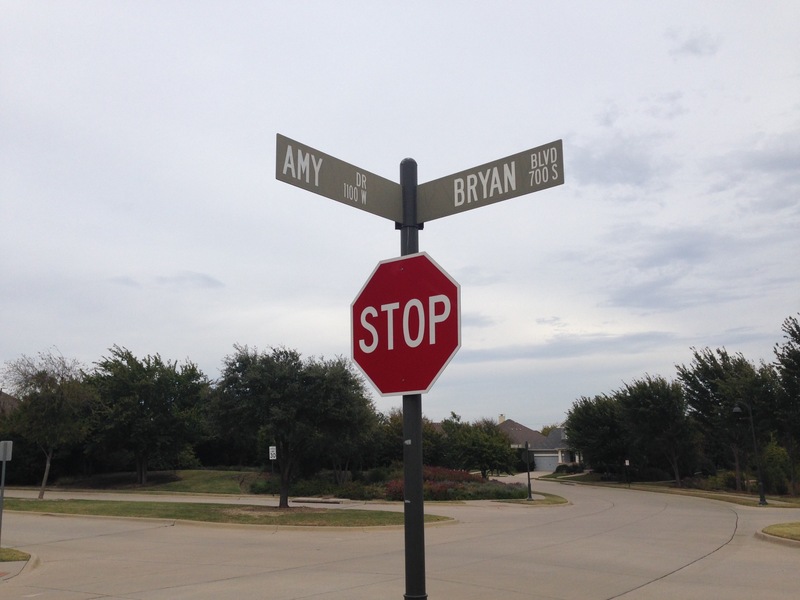 There it was before them: the intersection of Amy and Bryan. These two individuals left their older siblings behind, but they somehow found hope in each other. Just seven months after her brother’s passing, Carrie’s own health declined rapidly due to a bacteria in her lungs, and she found herself in need of a lifesaving transplant. In part due to Baylor Scott & White Health’s integrated model, the transplant team put Carrie on ECMO, Extra Corporeal Membrane Oxygenation, to provide temporary blood circulation and respiratory support, and to act as a bridge to lung transplantation. For Carrie, transplant was a hail-Mary and would truly be lifesaving. That is when these two worlds combined, and formed a connection that continues to marvel all who hear their story. Carrie was understanding of the grief donor families face as she herself waited at the top of the transplant list with a lung allocation score of 88. All too recently, she had devastatingly experienced the loss of her brother who was unable to find a match, and she herself experienced a false alarm on of a potential organ in mid-November. A little more than a week later, Amy’s family was dealing with the tragic loss and made the decision to honor Amy’s wish to donate her organs. Amy provided six organs, and Carrie was fortunate to receive her lungs. Ten months post-transplant, Carrie wrote a letter to the donor family, thanking them for this unimaginable gift. After letters exchanged back and forth, and permission was in order, the two families met. There were a lot of tears, hugs and gratitude. Carrie knew the extensive pain of suddenly losing a sibling and family member. One treasure Carrie received was a photograph of Amy on her last birthday. It now sits framed in her home. 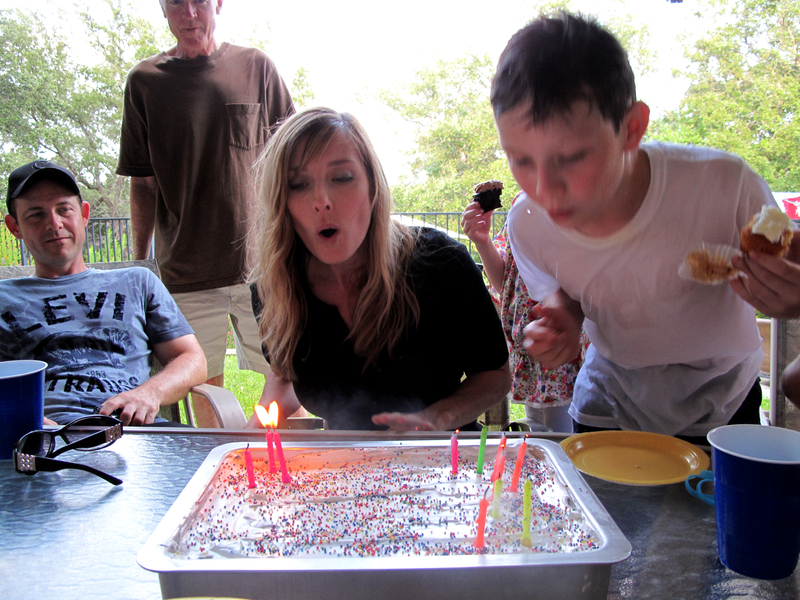 The image of a young mom blowing out candles on a birthday cake is constant reminder that each birthday is a gift. Valarie is now by Carrie’s side as she blows out the candles each year. At the time of Amy’s passing, Valarie did not feel she left anything unsaid to her sister and often expressed love. One thing Valarie did not know, however, was that Amy was writing a short story based on their relationship. The story was called “Dear Me,” and Amy’s husband delivered it to Valarie just days after her passing. This story became an inspiration for Valarie, an avid runner. She had run half marathons in the past, but never a full. Amy’s short story was about two sisters, one of which ran a marathon in honor of her sister who had passed way. It was too much to just be a coincidence — Valarie knew this story was about them. Valarie ran the Fort Worth marathon in honor of Amy, and Carrie was there to run the last stretch with her — something that would have been impossible to do without Amy’s lungs. Carrie and Amy were the inspiration Valarie needed to push through to the finish line. She had suffered a stress fracture her first race attempt, but looking back she knows the timing wasn’t right. Valarie is now looking forward to future runs including the Chevron Houston Marathon and the prestigious Big Sur Marathon in 2017. When she’s not running, Valarie stays busy with two children of her own, ages 17 and 15, and stays connected with Amy’s husband and children, now 15 and 13. Carrie’s 5-year-old twin boys often join in the fun, and even call Valarie’s parents Grampy and Grammy. “We’re a family. A very interesting sort of family,” Valarie added. Valarie and her parents have found the connection very healing and rewarding. They have also been major supporters of the local non-profit chapter of Transplant Recipients International Organization (TRIO), in Temple, Texas, to help provide amenities for transplant patients and their families. Despite their activist efforts, Valarie still attributes the most hope to her bond with Carrie.